This classic Chinese text, the earliest known treatise on war, offers strategy and tactics that can be applied to every type of human conflict. Central to Sun Tzu's philosophy is the concept of using deception and superior intelligence to minimize risk, which has made his book required reading at military, business, and law schools around the world. With a Foreword by B.H. Liddell Hart and a 74-page Introduction, this deluxe edition-beautifully presented in a sumptuous silk hardcover-is a standout offering in the successful Art of Wisdom series. Sun Tzu is thought to have been a military general and adviser to the king of the southern Chinese state of Wu during the sixth century BCE. 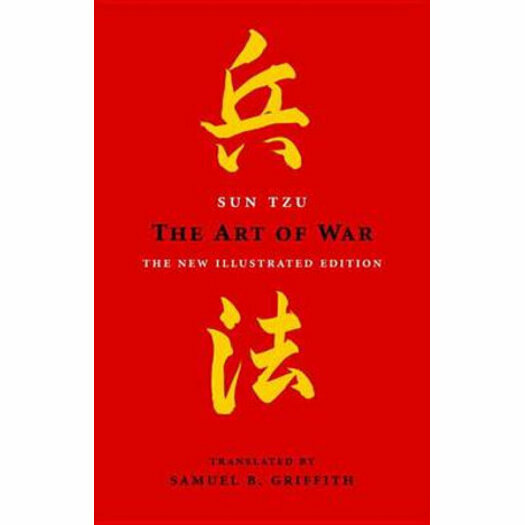 Although some modern scholars have called his authorship into doubt, the world's most influential and enduring treatise on military strategy, The Art of War , bears his name.